the Art of Islam – this type of artistic creation, mainly in countries where the state religion was Islam. In its main features it was formed in the middle Ages. It was then that Arab countries and regions where Islam was born, made a huge contribution to the Treasury of world civilization. 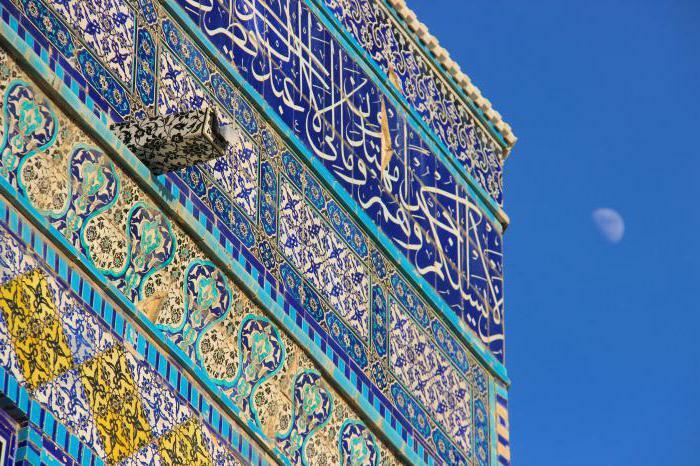 A special attraction of Islamic art, its uniqueness and tradition have been able to get it to go beyond time and space and become a part of the global Commons. Islamic culture emerged as a phenomenon in the seventh century of our era. But the principles of this religion set out by its theologians, and mainly stem from the interpretation of the Torah, forbade the depiction of living beings. Even more severe rules related to the inability to translate into painting or sculpture of God (Allah). So when this religion spread from the Arabian desert to the East, including India, faced with local cultures, it is first treated them with hostility. First, Islam is considered the art of other countries, pagan, and, secondly, they dominated the images of different deities, people and animals. But over time, Muslim culture has absorbed some of the principles of art, reworked them and created their own styles and rules. Thus arose the art of Islam. Moreover, just as Muslim theology in each region has its own characteristics and culture came to depend on the country and its traditions. First of all, the Canon of this culture has been developed in architecture and ornament. It was based on the traditions of Byzantine, Egyptian, and Persian art of the pre-Islamic period. In some countries the ban on the depiction of people and animals was of a very ephemeral nature, such as in Iran. Later came the Islamic painting and plastic art forms. Muslim culture is characterized by the construction of buildings with large domes, the great attention was paid to domestic murals, mosaics and interior, and not appearance, bright and rich colors, symmetry, presence and Arabesque, the so-called mukarnas. It arches in a honeycomb, with numerous hollows and recesses. 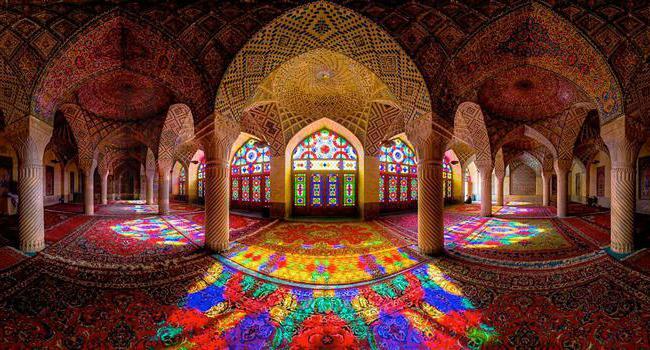 Islamic art his greatest development has been in the field of architecture. In this style were built not only for religious buildings, such as mosques or madrasas, and secular buildings. One of the most important types of this art is calligraphy, which left us the rich legacy of ornamental compositions. In Iran and Muslim India widespread such rare art forms of Islam, like painting and miniature. In almost all the countries in which practiced this religion, have been developed such popular application types of work, like weaving and ceramics. it is Customary to distinguish the following main types of Islamic art in this field – Egyptian style, Tatar, Moorish and Ottoman. The other type of architecture are considered to be secondary or derivative from the core. Muslims developed their own rules of construction and decoration of buildings, when Islam became the state religion in different countries, the number of worshippers increased, and for their meetings, it was necessary to erect the mosque. Initially, the architects proceeded from the functional requirements. That is, for the mosque was necessary a hall where people gather, the mihrab (niche facing Mecca), Minbar (pulpit), yard with galleries, a cistern for ritual ablutions and the minaret from where the calls to prayer. The first such churches include the Dome of the Rock (Jerusalem, seventh century ad). At its core, it is an octagon and stands in the middle of the courtyard with galleries. In addition to mosques and religious schools-madrassas-Muslim specific features have different public buildings. It's mostly caravanserais (Inns), hammams (baths), covered bazaars. the Art of Islam has gained its development in the Egyptian style of architecture. An example is the mosque of Ibn Tulun (ninth century) and the Sultan Hassan (14th century) in Cairo. These temples give the impression of power, has been impressive. They are covered in elaborate mosaic inscriptions, and their walls ornamented with arabesques, that is, stylized geometric and floral elements. These redundant decoration, fill all the emptiness, symbolized the reasoning of the Islamic scholars about the endless “Universe”. The arches in the mosques have a dome shape, and they are based on columns in the form of stalactites. As a typical instance of Iranian and Central Asian architecture lead the mausoleum of the dynasty of Samudinov in Bukhara. 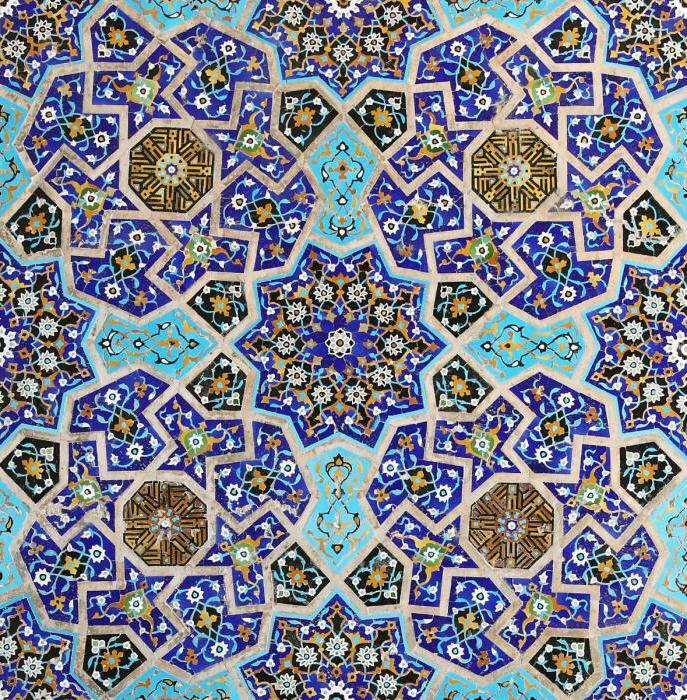 In Muslim Persia are mostly liked to use in the construction of buildings tiles in the shape of stars and crosses, which laid out the different compositions. 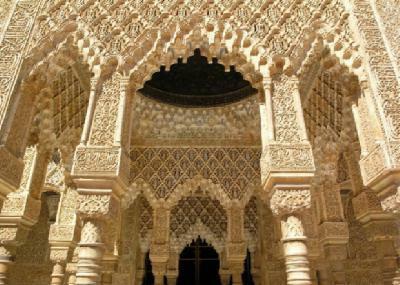 art of Islam, like its architecture, flourished during the reign of the Arabs in Spain. The most striking manifestation can be called the Palace of the rulers of the Alhambra in Granada. This is a luxury building with many ornate rooms and halls surrounded by a wall with towers and fortresses. Special attention deserves so-called Myrtles courtyard with a colonnade. It is possible to go to the gym Messengers, indoor dome. According to legend, where the rulers of Granada representatives of other countries. Another famous courtyard is a Lion. It is so called because the fountain in the middle, rests on 12 sculptures representing these animals. 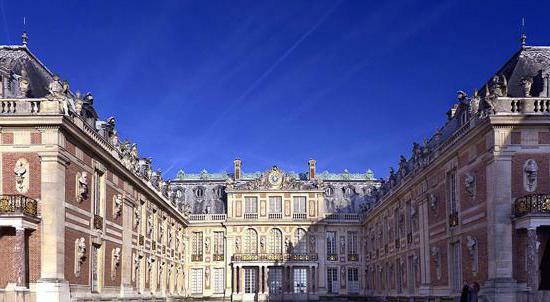 In the Palace and many other halls – Two sisters, Judicial – luxurious mosaic rooms and chambers with balconies, porticoes. The building of the Alhambra is located among gardens and flower beds. In the same style and built the Great mosque in Cordoba (the Mezquita). Characteristics of Islamic art perfectly embodied in this masterpiece of Muslim architecture like the Taj Mahal. It is the product of later times. It belongs to the seventeenth century and built by order of the ruler of the Islamic dynasty of the Mughals in India of Shah Jihan First. In terms of this structure has a cut-off square with a dome on top, standing on an artificial platform made of marble. The corners of the building are the minarets. The mausoleum built of white marble and pink Sandstone and decorated with precious stones. The building is also ornamented with Golden inscriptions on a black background. So it effectively stands out in the middle of the sky and greenery. Inside it has a rich interior, decorated with ornaments of gold, silver and mosaic of jewels. the Art of the countries of Islam are well represented in this country. At first the Turks built their mosques in the same way as the Arabs. But since the fifteenth century, after the conquest of the Byzantine Empire, their art is very influenced by the architecture captured their Empire. The type of the local temples they began to build the mosque is rectangular in shape, with multiple domes and the adjacent buildings and courtyard-Iwan. The greatest prosperity of the Turkish architecture has reached in the era of the Ottomans, especially in the works of Sinan. This architect designed and built a huge number of mosques, but personally he singled out three: two in Istanbul (Shah-zade and Suleymaniye), and one in Edirne (Selimiye). These structures are highlighted subtle minarets, huge domes and pointed arches. 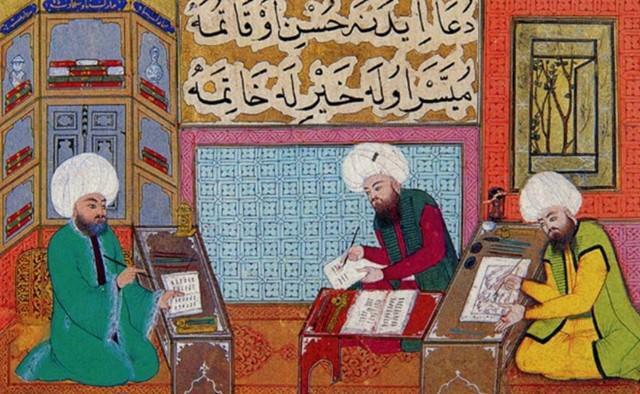 the Fine art of Islam is such an important sector as a Muslim applied painting. It evolved from the art copy of the Koran-the Holy Book. Then it was used for decoration of mosques. The letter is called in Arabic script or "Kufic” because it was thought that it comes from this Iraqi city. 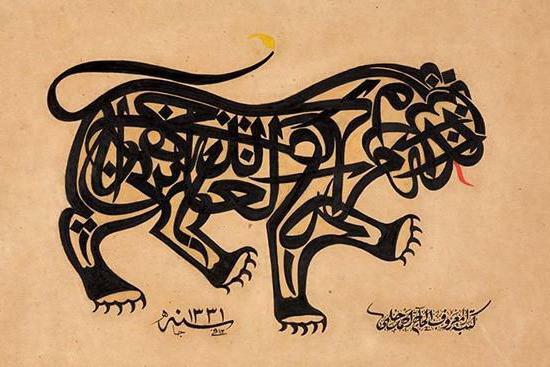 In different Islamic countries, calligraphy was brought to the highest degree of perfection. 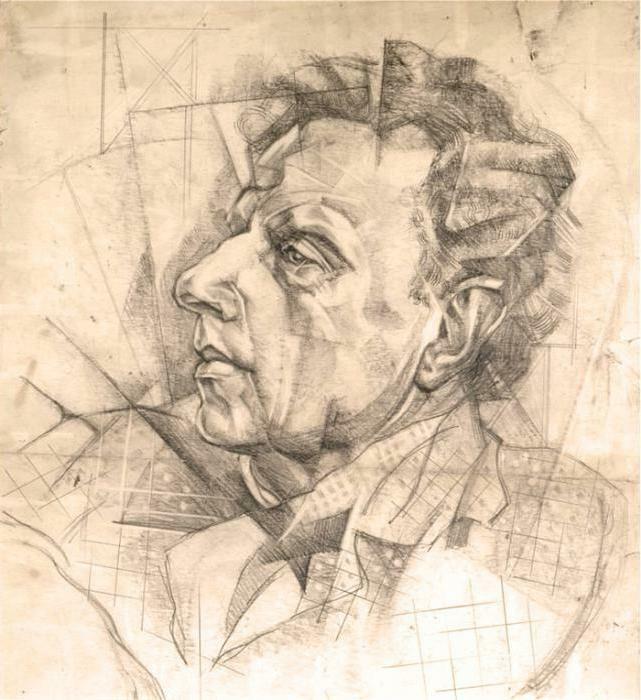 The master of letters at the same time was a stylist, a mathematician and artist. The types of calligraphy in Muslim countries was even canonized. In the XV-XVII centuries, a new kind letters – the so-called China, where a registered handwriting of one or more types were created whole picture. The instrument was the reed pen (Qalam), the method of ocinki which set the style. The calligrapher had to demonstrate their exquisite taste not only the ability to gracefully display Arabic characters, but also knowledge of spatial geometry, and mastering the art of ornament-geometric, vegetal, animal or anthropomorphic. Features of fine art of Islam consists in the fact that in this religion do not admit the anthropomorphism of God. Therefore, artistic creativity was removed from the sacral region and left only in the secular culture. But its spread depended from different countries. In the Koran there is no explicit prohibition on the depiction of people and animals, but in the hadith-Islamic tradition – such censure is. Mostly painting spread as the decoration of luxury and book illustrations-miniatures. Basically, it reached its greatest prosperity in Iran, Central Asia and the Indian Mughal Empire. Persian miniature based on the wall paintings of this country's pre-Islamic period. She has evolved from book illustrations, but Iranian artists quickly enough making it an independent genre. They have developed an excellent pictorial system in which color, form, composition and expression were combined to create one whole. 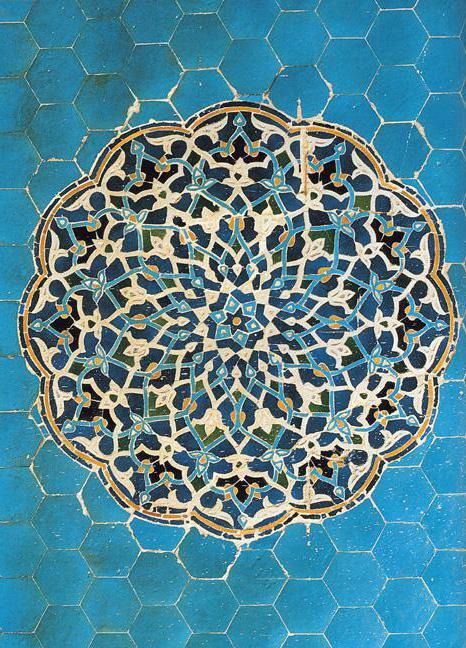 Persian artists intentionally used a planar type image, not three-dimensional. The heroes of this painting, usually idealized and live in a beautiful world. Workshops miniatures often served as the Shah's library, or kitabkhana. Since the eighteenth century in Iranian painting began to have a strong influence of the European technique and traditions. 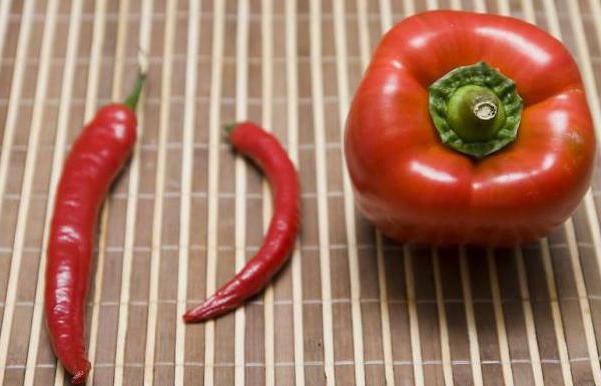 These industries have developed in Iran, Azerbaijan, Central Asia, and Turkey. Especially famous for their architectural ceramic. It could be patterned brickwork or carved terracotta. But the most famous was the cladding of buildings with multicoloured majolica. It gives such a chic and shiny Eastern palaces. As for painting utensils, here the role played by restrictions on the use of silver and gold in economic needs. However, the Islamic master was trying to make earthen vessels Shine and luster. This began to make lead glaze, and also tried to create something similar to Chinese porcelain. Thus was invented the white enamel to cover dishes, as well as the effects of gold and silver in the glaze. The oldest carpet was found in Egypt. They belong to the ninth century. Carpet-making was born from the manufacture of litter for prayer. Types of this art were two – ornamental where interwoven patterns and geometric shapes, and graphic, with scenes of hunting, battles and landscapes. The latter species is less common. The greatest reputation was won by the bright and fluffy Persian rugs and special technique Turkish masters. Despite the fact that we are talking about the cultural aspects of a particular religion, the meaning of this term extends to social life. In the Muslim world, painting, architecture, and other arts reflect the human perception of the spirituality, values, and their environment. The main feature of this culture is the pursuit of beauty, which is a sign of divinity. Geometric forms and ornaments like reveal the codes of the language of the Universe, and repeating patterns are indicative of its infinity. Applied art is trying to make everyday things beautiful. The culture of Islam had a great influence on the development of Western Europe since the Middle ages.